Exchange Capital has been personally serving clients for over 26 years. 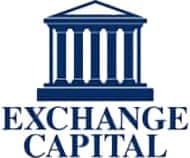 Exchange Capital Corporation helps companies grow by providing funding against accounts receivable. We assist owners & managers with growing their businesses and becoming more efficient in the process. Our goal is the same as yours, increase your bottom line!